Updated March 16, 2018 at 9:18 p.m.
A man was stabbed six times in the back Friday in a carport in an alley in Pacific Beach and an 18-year-old suspect was arrested. The 30-year-old victim met two male suspects on the trolley in Old Town and about 3:30 p.m. the trio went, for unknown reasons, to the south alley in the 1100 block of Thomas Avenue, according to San Diego police Officer Robert Heims. The victim and one of the suspects were in a carport while the other suspect stood in the alley, Heims said. The wounded man was taken to a hospital for treatment of non-life- threatening injuries, Heims said. 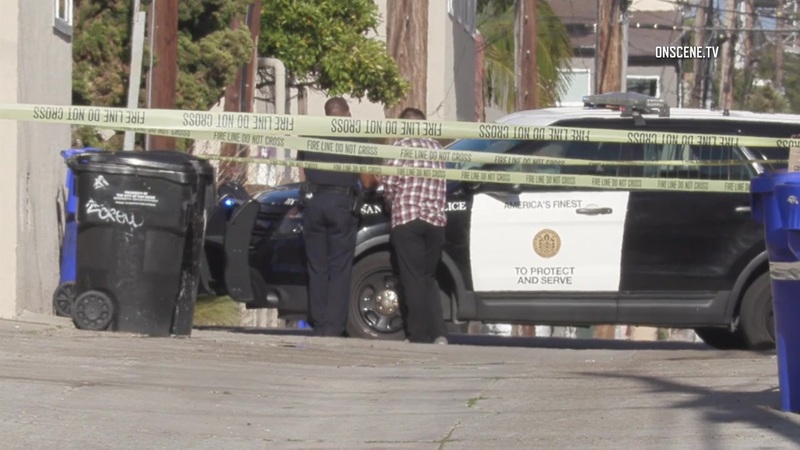 Police soon after responded to a fight at the intersection of Thomas Avenue and Mission Boulevard and determined that one of those suspected of involvement in the fight was the suspect in the stabbing. The suspect, identified as Anthony Valenzuela, was arrested for allegedly stabbing the 30- year-old man in the carport, Heims said.